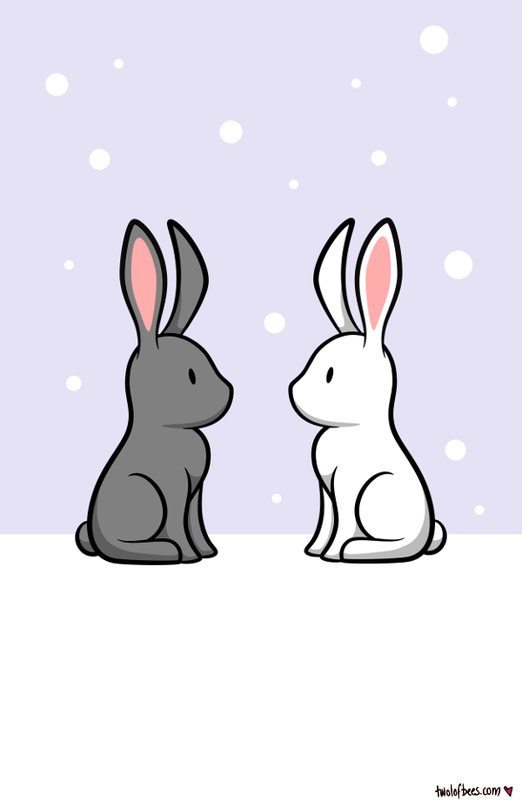 Two bunnies in the snow. Bunnies sitting quietly. This design is based on my sketch, with vector imaging done by both myself and Cheese, and then Cheese added the snow background - so this has really been quite the collaborative effort!